The content in Casino Marketing has been pulled from the author's personal knowledge learned from 30 years researching, teaching and writing in the field as well as prominent gambling practitioners, and industry trade journals. 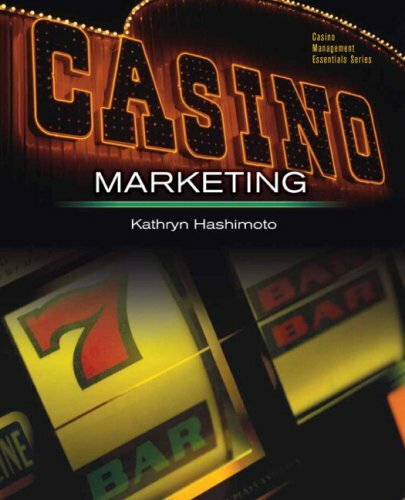 This book on casino marketing is an attempt to link the gaming industry to the business environment and its theoretical underpinnings. Different from its competitors, this book uses and discusses different marketing theories to teach fundamental knowledge in the area before applying the information to the industry. Therefore, the readers accomplish two goals at one sitting. They learn about fundamental marketing practices as well as casino industry applications. Starting with a traditional overview of the industry, the book quickly moves onto strategic planning by combining the input of nine different managers from many different levels of responsibility in a variety of casinos. No other book on the market so thoroughly explores the uncontrollable environments that dictate how our product, price, place, and promotions should change in casino marketing.